This excellent release from the new collective formed by Manuel Tur, Adrian Hoffmann and Ramin Nouyan is simply stunning. 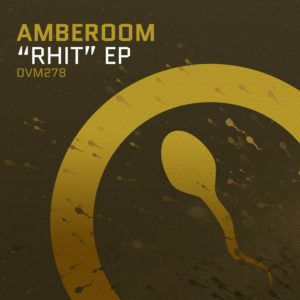 RHIT begins with a blinding array of earthy, tribal based drum rhythms that capture the essence of movement and are eventually rewarded by the uplift of Latin-esque piano chords and jazziness. The even more outstanding, Hover follows with a hint of beautiful NEU! informing the synthesized atmospheres while the staccato bassline attacks the senses in all sorts of other ways – a great piece of music. Machine, then beats out more of those gritty feeling drums over a smooth funk of smart musicality, leaving a glorious Beatleass Guitar Mix of Hover to end on blissful, heavenly notes. A seriously great record by anyone’s standards, not least of all by Ovum’s sterling output. 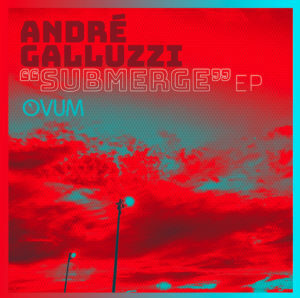 André Galluzzi delivers what may only be described as a kind of shimmering, seductive combination of high-octane electronics which digs into your soul and tears at it. 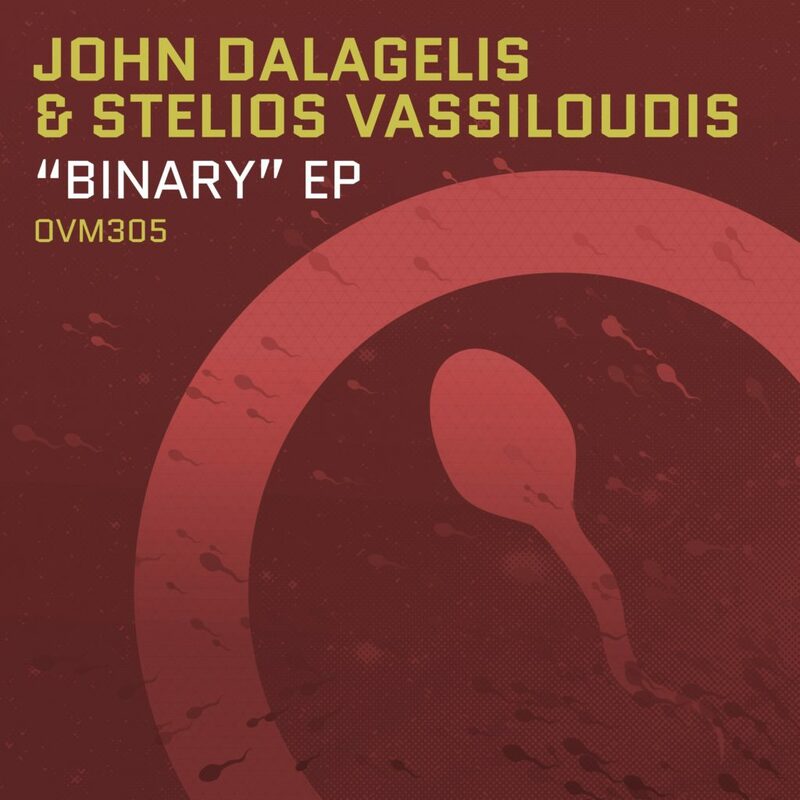 Powered by a sequence of chiming keys, cool drums plus a throbbing low-end Submerge proves to be so addictive you’ll be forgiven for hitting the repeat button to find out that else will be revealed. Then on the other hand is Bold. Big and brash it’s all about the Acid energy that sizzles away never quite losing its cool, while remaining resolutely funky too. Perhaps not always a name that trips off the tongue so much these days but none-the-less one the of the UK’s key producers as this first in line re-issue of his work proudly testifies. You only need look at the track list to qualify that statement and to see the calibre of the people he worked with too – all of which, perhaps, makes you feel just that little bit nostalgic. His trademark ‘Dub’ sound is of course very much in evidence but what also astounds you here is the breadth of styles employed across the selection i.e. that not everything sounds identikit. Artists include Mark Stewart, The Fall, The Slits, Prince Far I, and Annie Anxiety’s gloriously difficult Third Gear Kills, and by far sounds like anything as radical as you are likely to hear this side of Ibiza!?! With its ‘Live in the future’ refrain strolling around the arrangement this excellent production from Josh Wink is light years beyond Higher State Of Consciousness (released some 20 years ago!) but which feels just as explosive, albeit in a different way. If its Acid you require then the appropriately named Prise D’acid is inevitably the version you’re after, and won’t disappoint. However, the atmospheric qualities of the original are just as rewarding with emotive pads joining the pulsating rhythm section later on. Meanwhile the Tweak Dub strips it all down to basics via a pulsating drum machine and bubbling synth lines to complete this first rate release. Released as three parts of an intriguing whole this individual edition of the sequence finds itself with the 7AM time-stamp. An ambitious project via the Paris club sees Concrete further establish its diverse identity with four equally striking productions. Chris Mitchell’s intense yet blissful ‘Parallel Symbiotic’ opens with a blur of electricity feeling distinctly emotive and is followed by Lowris ‘C_Crete’ which delivers syncopated edginess accompanied by inviting hints of deepness. Matthew Herbert’s African flavoured ‘Earthenware’ is next composing another captivating listen, while Lazare Hoche’s suitably energetic ‘Spank’ finishes with a creative combination of swirling atmospheric sounds and banging beats. The idea of revelling in the summer ambience to the intro of Solsidan on loop is very appealing indeed, especially with the sun shining outside. HNNY’s cool combination of jazzy inspired Disco vocals and chords captures the mood perfectly easing you down into recline mode. The Avalon Emerson version pumps up the rhythm with punctuating beats but quite naturally loses the warmer emotion in the process. Second original, Alby replays more classic tones with meandering breezy organ lines playing over crunchy breaks and again feels super sunny, with the Ana Helder Remix re-tweaking the sample for an edgier rendition, though likewise you may still yearn for the more soulful aspects of both originals. Despite the suspect reference of the title this proves to be a cut above the usual House cliques as its undulating funkiness produced by Gunman is all about sparking your imagination. It doesn’t stop there either as engaging vocal cut-ups combine with warm contrasting keyboard surges and a playful arrangement. The Snuff Crew version follows with harder beats and snappy percussion fuelling a 90’s styled organ punctuated instrumental take on the above, and if anything feeling just that bit more urgent.